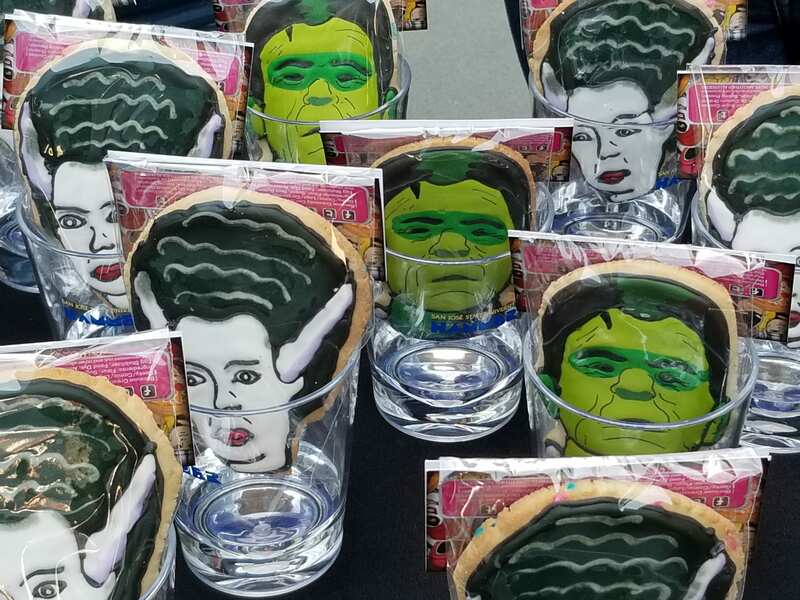 The College of Humanities and the Arts served Frankenstein cookies at its fall welcome event. San Jose State University continues to celebrate the bicentennial of Mary Shelley’s Frankenstein this fall. The first event of the semester will include a panel in which speakers will present three perspectives of the fictional creature on Sept. 18, from 1 to 3 p.m., in the Hammer Theatre. The event is open and free to the public. Launched last spring by SJSU’s Katherine D. Harris in collaboration with project manager Jonathan Gill and colleagues at Santa Clara University and the University of San Francisco, the series of events aims to facilitate discussions relating to technology, humanity, and ethics and how they affect our current world. 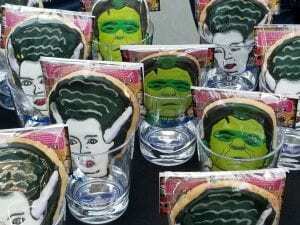 The College of Humanities the Arts included a playful nod to the project at its fall welcome on Aug. 20 with Frankenstein and Bride of Frankenstein cookies. Visit the project website for more details. See the full list of upcoming events that will run through December online.